Anton Sideboard - White x White - Antique and Fine Decor for the Home. 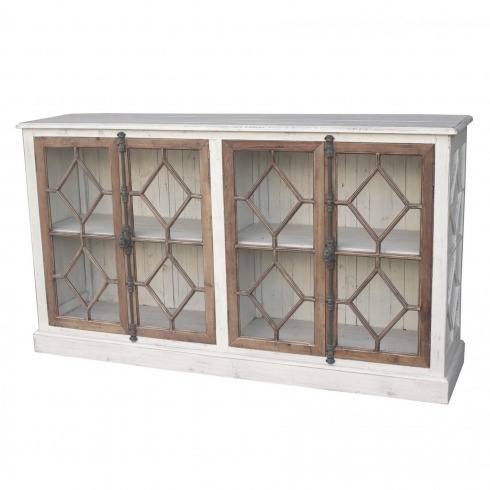 Classically styled Anton Sideboard is hand made of reclaimed solid pine with a white distressed paint exterior and interior. 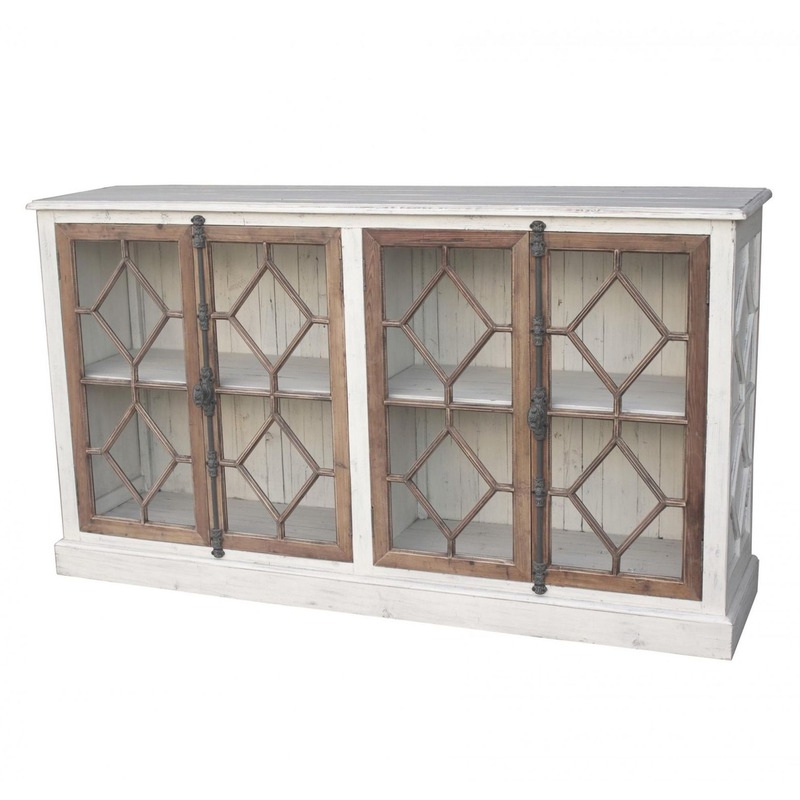 Four doors with intricate glass panes finished in natural pine with lightly distressed fully functioning rustic gray hardware. One non-adjustable shelf inside. Will likely have nail holes, knots and other imperfections, adding charm and character.